The commencement of analytics-driven healthcare age has empowered health systems with endless opportunities to unlock actionable insights to help advise the best clinical decisions for patients. 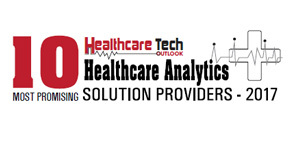 However, en route to meaningful healthcare analytics, there are often inconsistencies in data as it is gathered from many incomplete sources, and as a result is not easily actionable for improving operational performance or clinical decision making. By marrying their ongoing expertise in healthcare with their big data and BI capabilities, Oxagile builds innovative and custom software that helps health systems, hospitals, and other providers improve patient outcomes, balance costs, and secure protected health information. Mihail Romanovsky, CMO, Oxagile strongly believes that one of the major challenges in healthcare IT is integrating PMS and EHR systems for a holistic look at the organization's activities across patient care, finance, and marketing. "Incomplete data cannot be used and thus before any type of analysis can happen, data needs to be sourced and made homogeneous.” To solve this predicament, the firm is currently working on an integrated platform for managing the patient database with a strong focus on patient engagement. The platform mines data from PMS systems of about 10,000 dental clinics and leverages it to automate patient relationship management. The company provides the tools for running effective email campaigns among patients of specified age, gender, and location to motivate them to book an appointment and ensure that they don’t forget about it via a versatile notifications system which includes natural voice-based automated phone calls. The conversion rates and ROI of such campaigns are tracked and analyzed by Oxagile through their patient survey function, prompting clinics to make well-informed decisions that can increase profitability and patient retention. In their endeavor to provide an all-encompassing solution, Oxagile also offers an iPad-optimized EMR system that enables clinicians to manage appointment bookings, view detailed patient history on the go, and onboard new staff. The firm also has developed an intuitive, HIPAA-compliant portal for elderly patients that provides them with quick access to their medical records and makes the process of picking the right doctor and booking an appointment seamless. Having recently ventured into the fields of augmented and virtual reality (AR and VR), the company injects these novel technologies into their professional and medical training solutions. Using Oxagile’s VR headset or AR goggles, patients including professional athletes, benefit from post-injury and post-surgery rehabilitation solutions that assist them in re-learning certain skills and regain confidence. "Oxagile venturing into VR and AR was ultimately a great decision. Now we are witnessing a surge in demand for solutions that harness the power of these technologies to teach and train,” states Romanovsky. The firm is also determined to develop their expertise in the sports medicine sector, where healthcare is tied very closely with performance analytics. A company which lives and breathes innovation, Oxagile leverages their R&D to work on the best approaches to implement machine learning and predictive analytics into their healthcare solutions. Oxagile is currently in engagement with healthcare organizations in the U.S., and plans to expand to Canada and, eventually, Asia in the near future. Romanovsky knows that every country has a unique set of regulations when it comes to digital technology in healthcare, and thus they need to invest time to familiarize with the specifics before entering a new market. With a well laid-out roadmap and a comprehensive solution portfolio to back it up, Oxagile strives to provide an all-in-one and customizable solution that can deliver optimum value to the healthcare arena.